During a live stream earlier today, Suda51 announced a collaboration between Travis Strikes Again: No More Heroes and Dragon’s Dogma: Dark Arisen. Travis Touchdown will be appearing as a pawn in Capcom’s action-RPG. 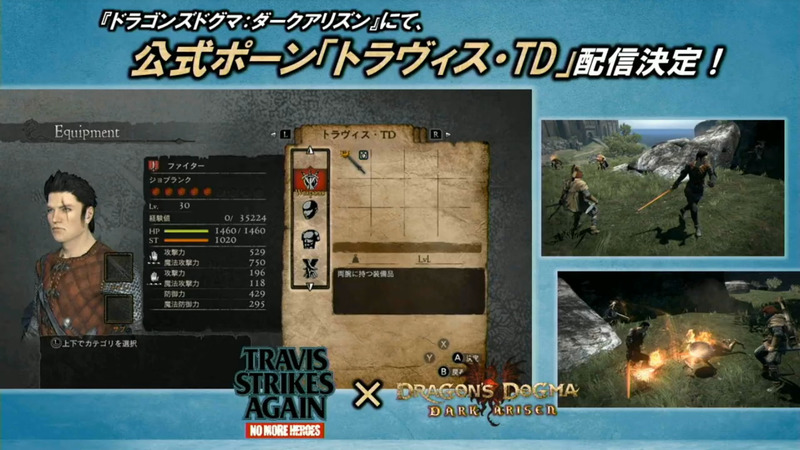 Simply connect to the internet on launch today to have Travis in Dragon’s Dogma. While his sunglasses aren’t included, the signature beam katana and power glove made it in.